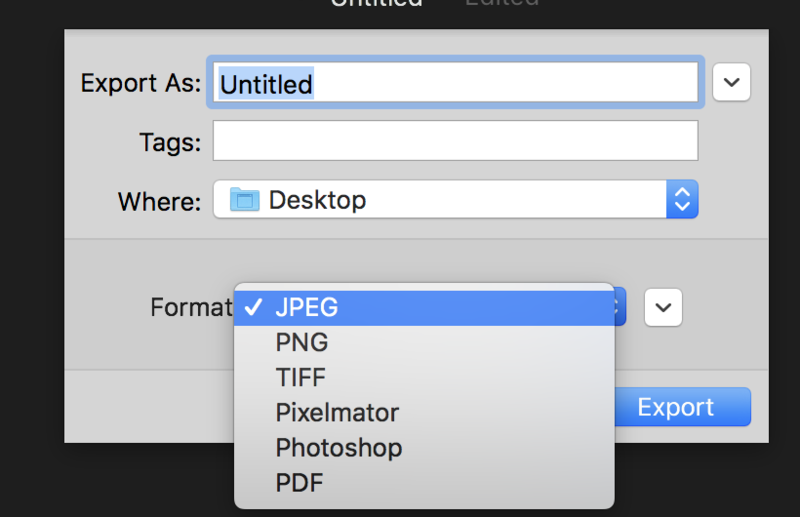 Please excuse me if this is a stupid question (new to Pixelmator Pro) but how can you export an image as a gif? 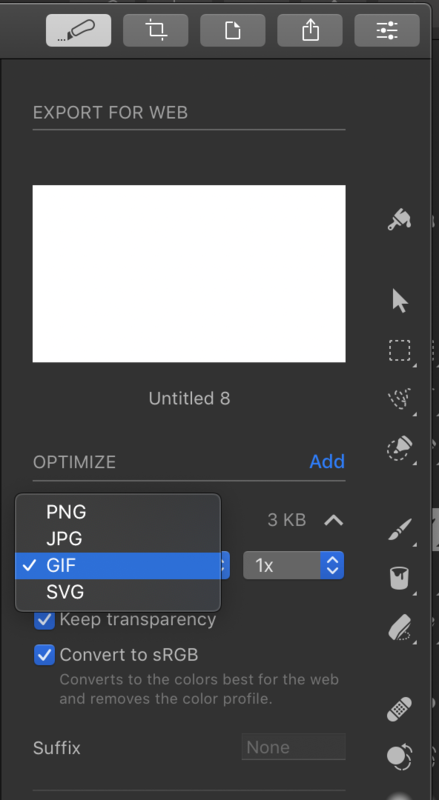 I do not have Gif as an option in the format drop down when exporting an image. Not a stupid question at all, but more 'stupid' that indeed GIF is not an export option. I'm sure this will be added in an upcoming release of Pixelmator Pro. Thank you for confirming that I am not being blind. Crikey - that seems like quite a big omission? I guess gifs will never be relevant for photographers but it should definitely be there for anyone interested in creating web graphics. For web graphic-designers I would for now recommend the general version of Pixelmator. 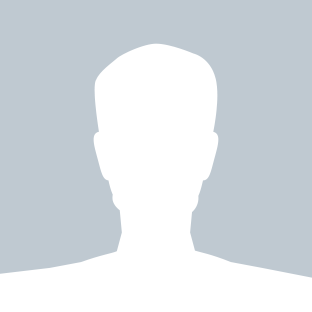 It will still be updated and maintained by the team. If you are an existing user of Pixelmator you'll find your 'old' Pixelmator version still available in your applications folder. 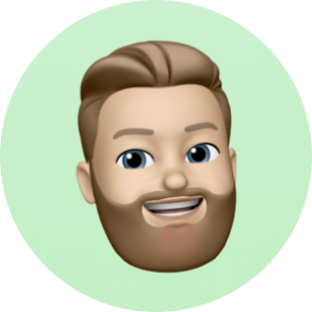 If you are a new user you can still get a refund from the App Store and buy the general Pixelmator version in stead, or use your existing software and wait til Pixelmator Pro will receive more web-desinger related features. P.S. Pixelmator Pro is already ahead of the original Pixelmator in terms of UI/web design features, at least in my opinion, both in terms of the number of actual features and when taking into account ease of use.